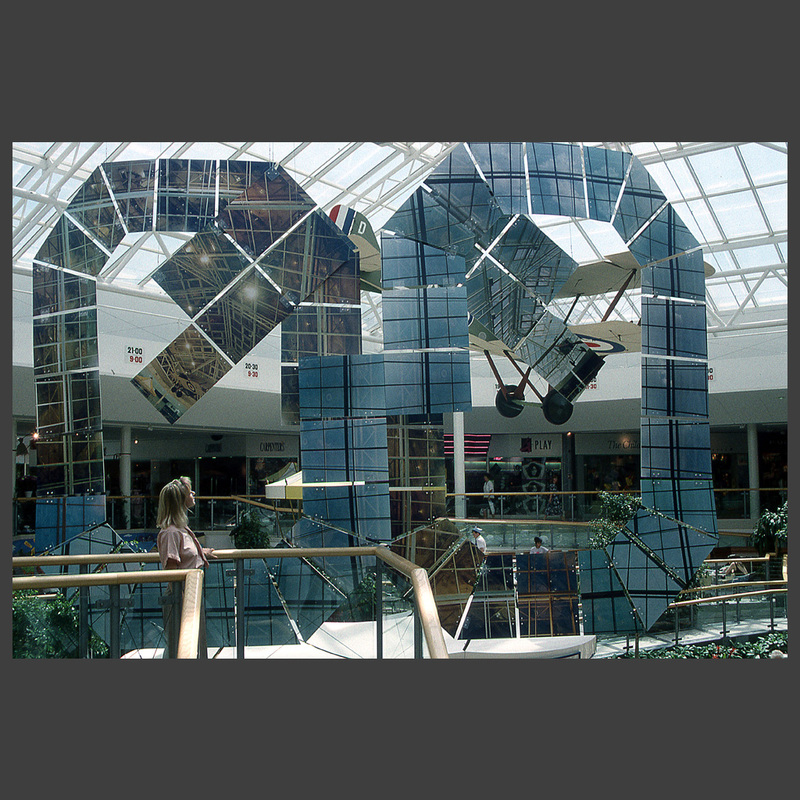 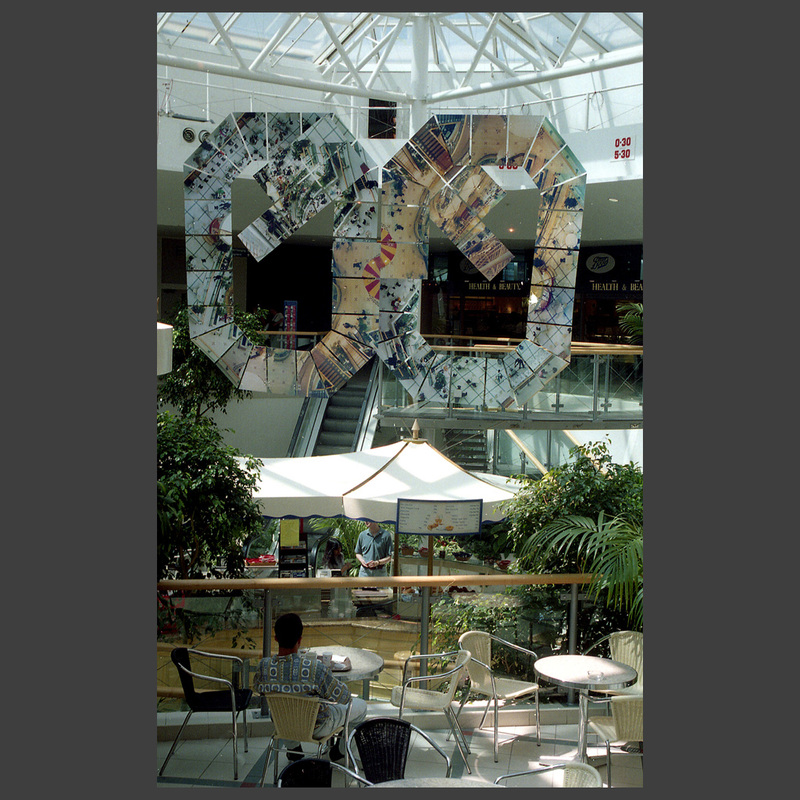 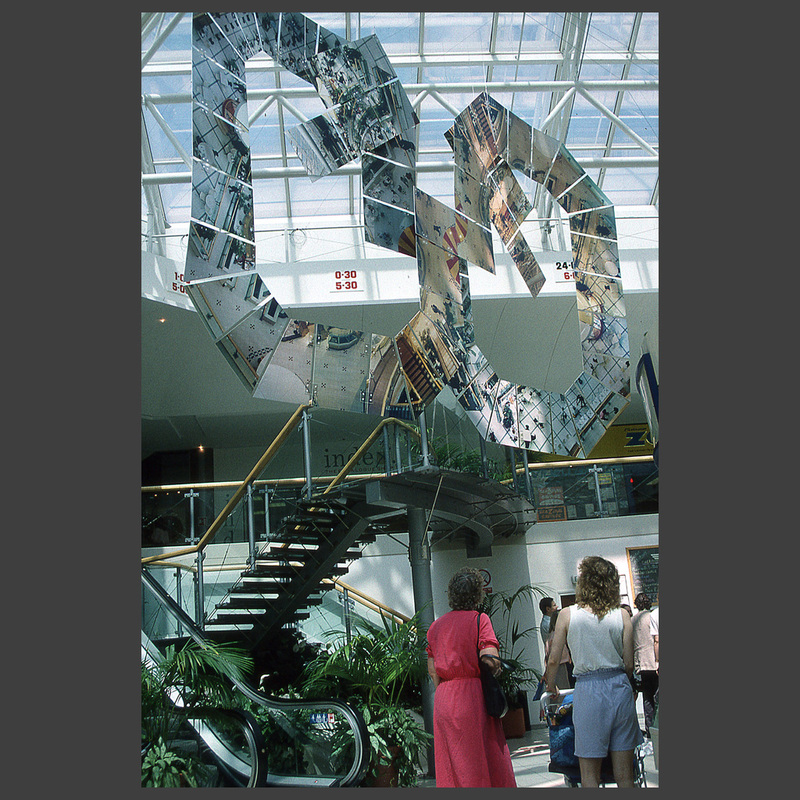 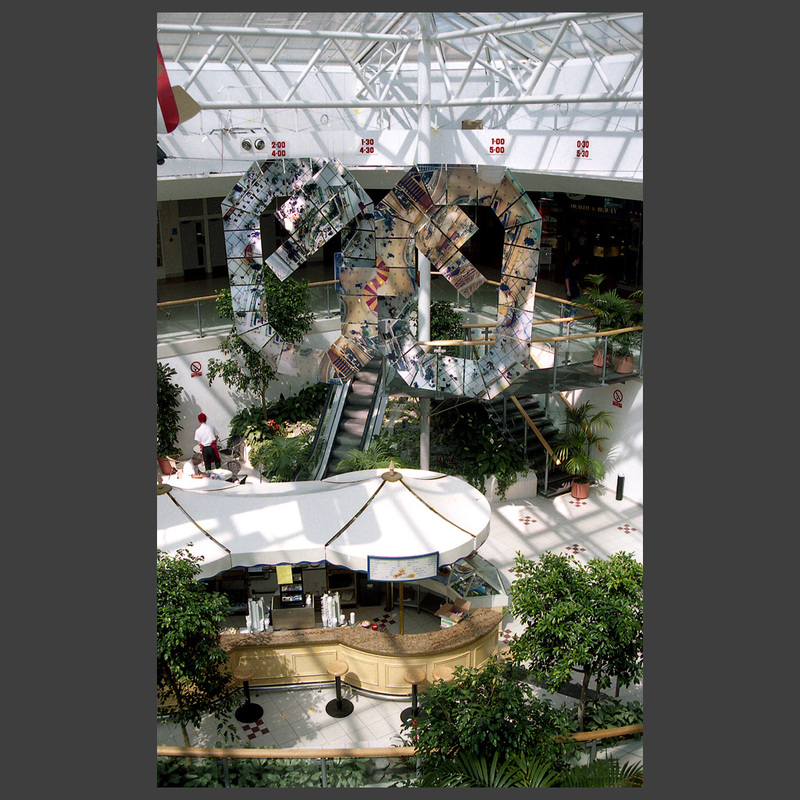 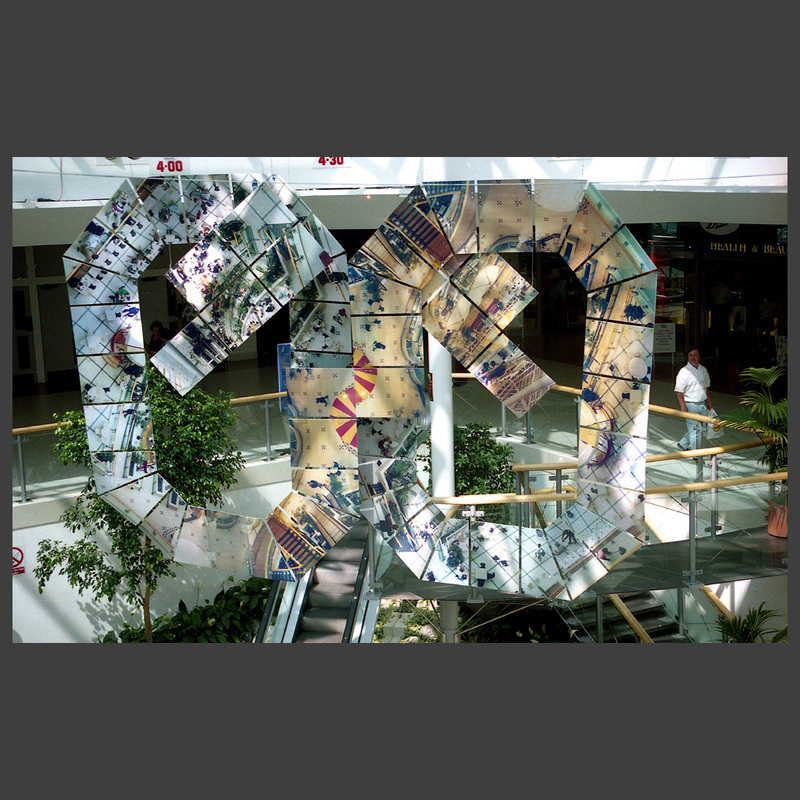 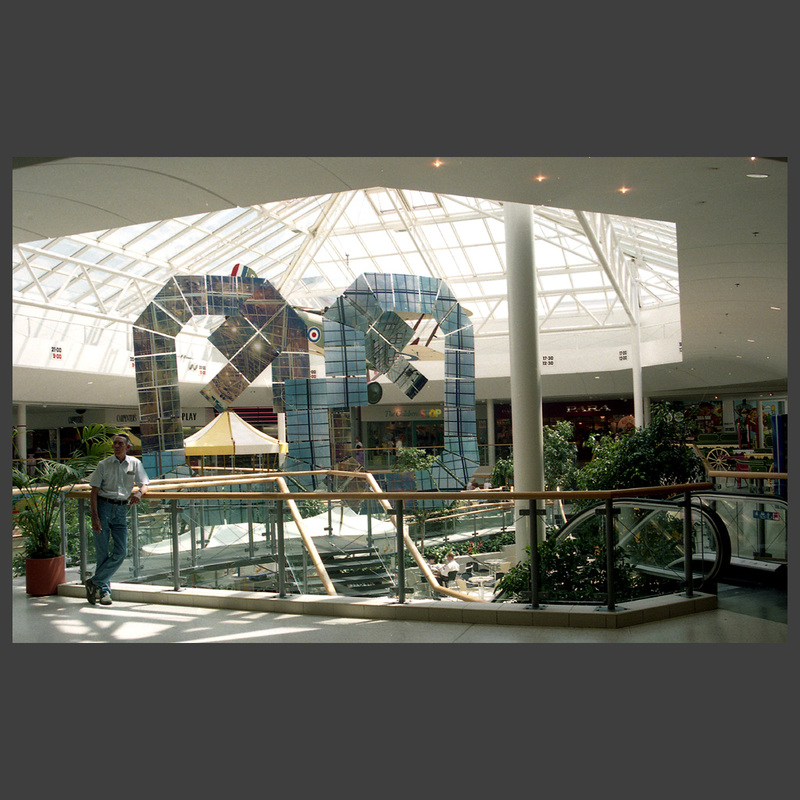 This commission was carried out in the Princes Mead Shopping Centre in Farnborough, as part of the ‘Sculpture in the Hampshire Landscape’ project. 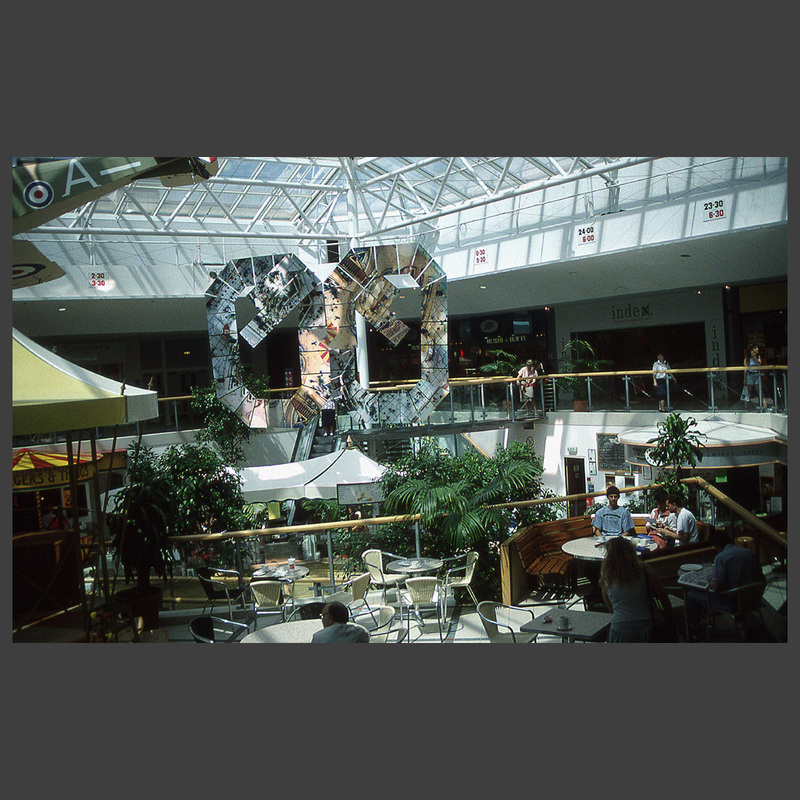 The shape of the shopping centre and its susceptibility to changing lighting conditions suggested the idea of a clock, recording a process of change. 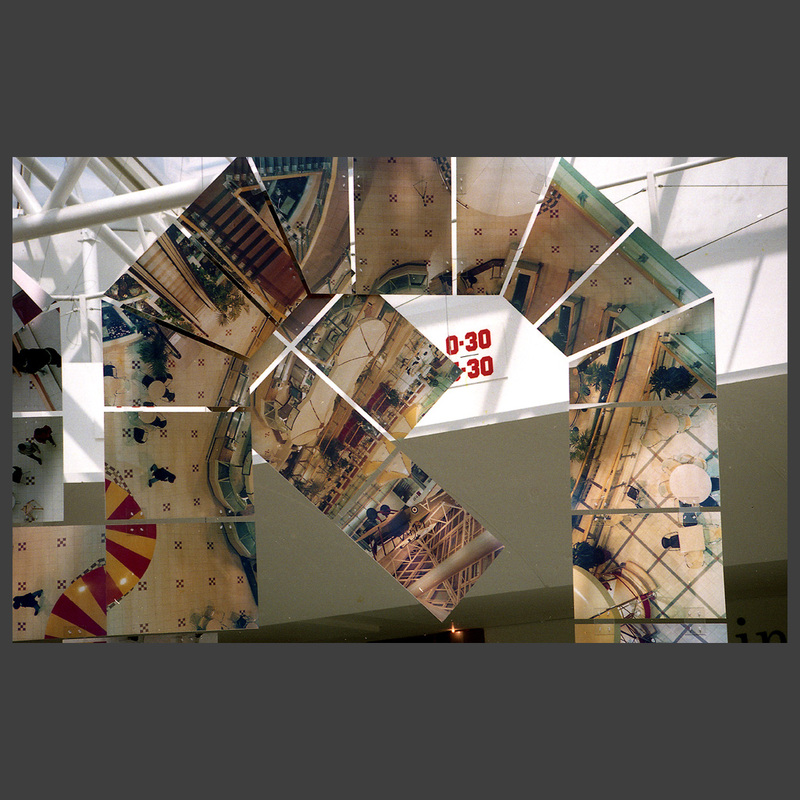 From this evolved the double twisting structure, describing two twelve hour cycles. 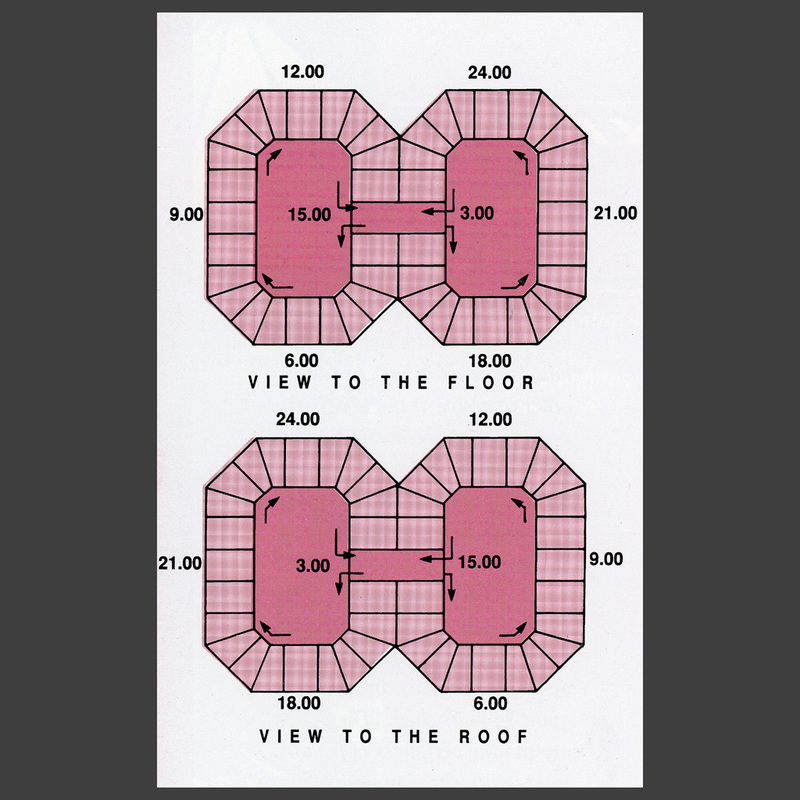 Photographs were taken every half hour throughout a twenty four hour period, both from a high level gantry down to the floor and from below up to the glazed roof (see diagram). 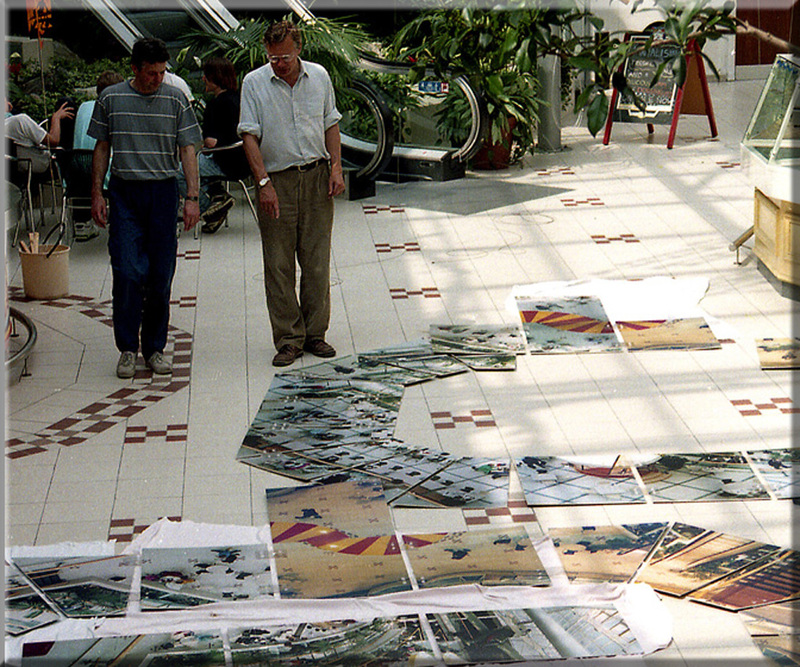 From over 600 photos 120 were selected, printed to 50cm by 70cm and mounted on foam board panels. 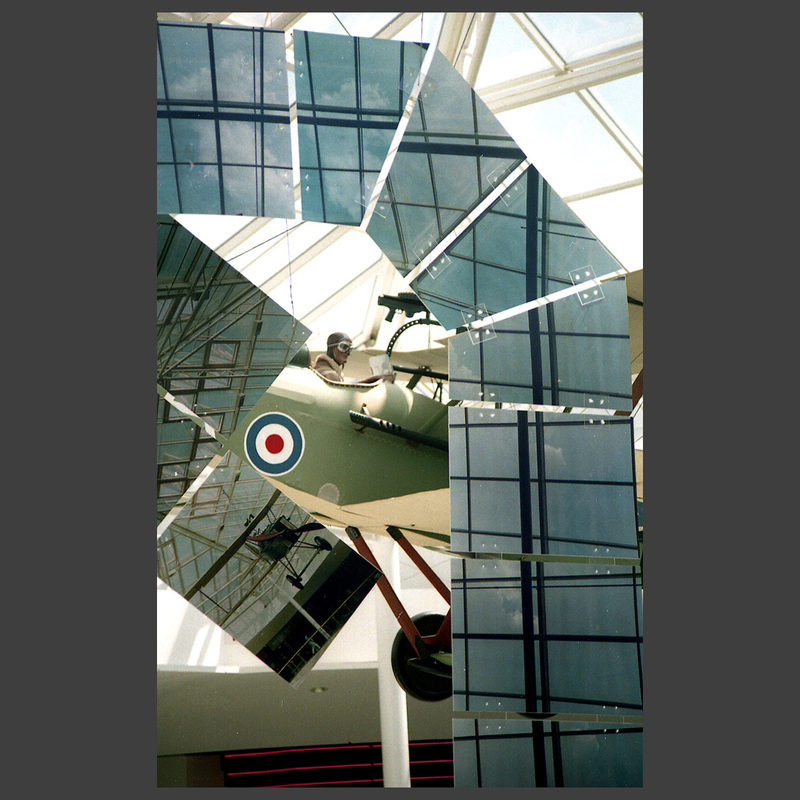 The panels were then fixed together to create the large structure which was suspended vertically in the middle of the space. 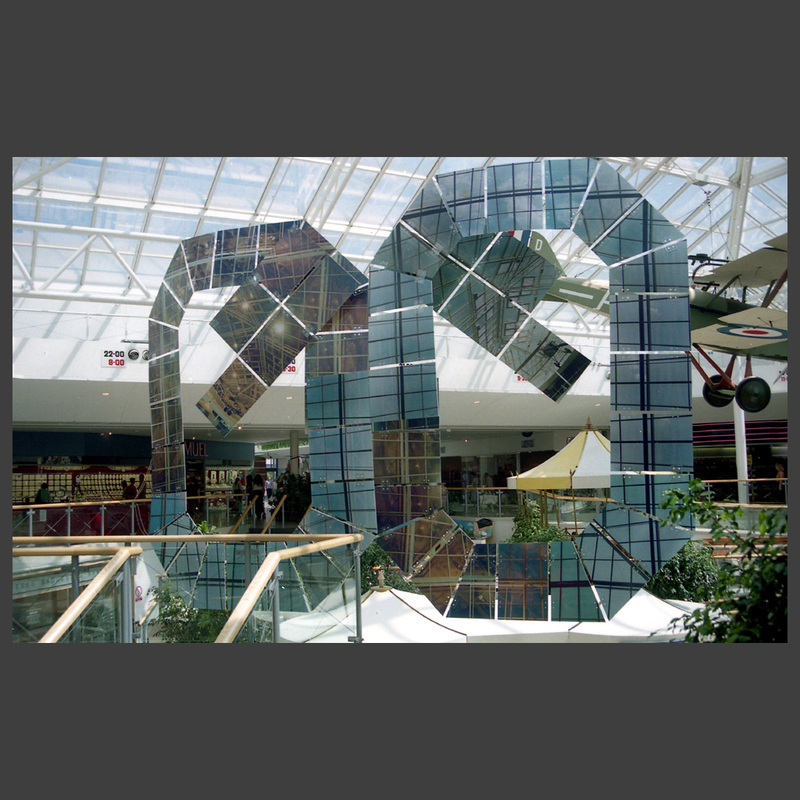 One side of the structure describes the changing colours and cloud formations of the sky, slowly changing to reflections of the floor area during the hours of darkness. 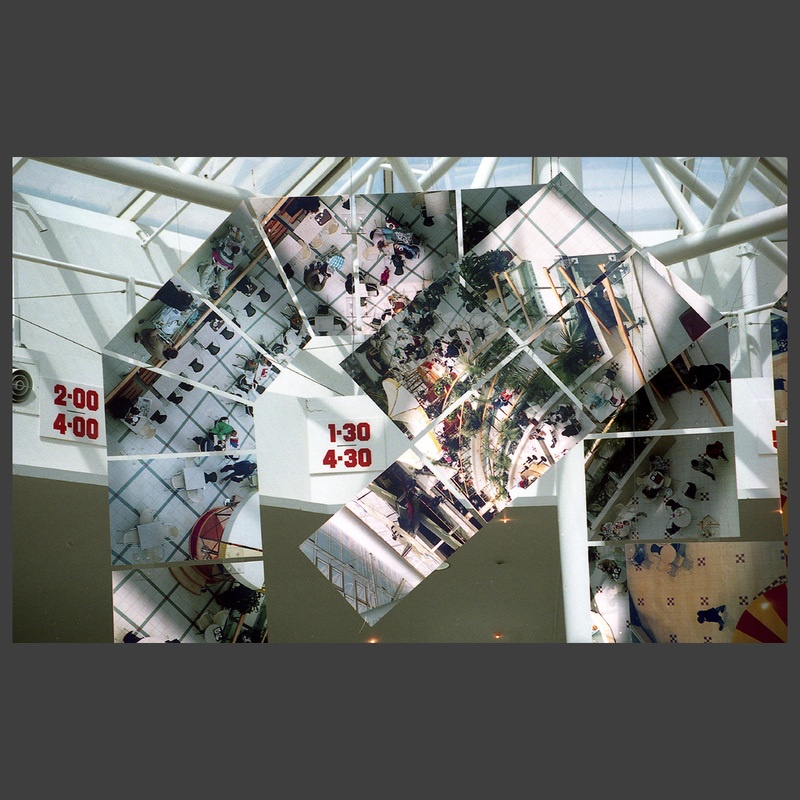 From the other side the view to the floor shows the early morning setting up of the centre, the range of activities throughout the day, then the process of cleaning after closure and the night time security guards on patrol. 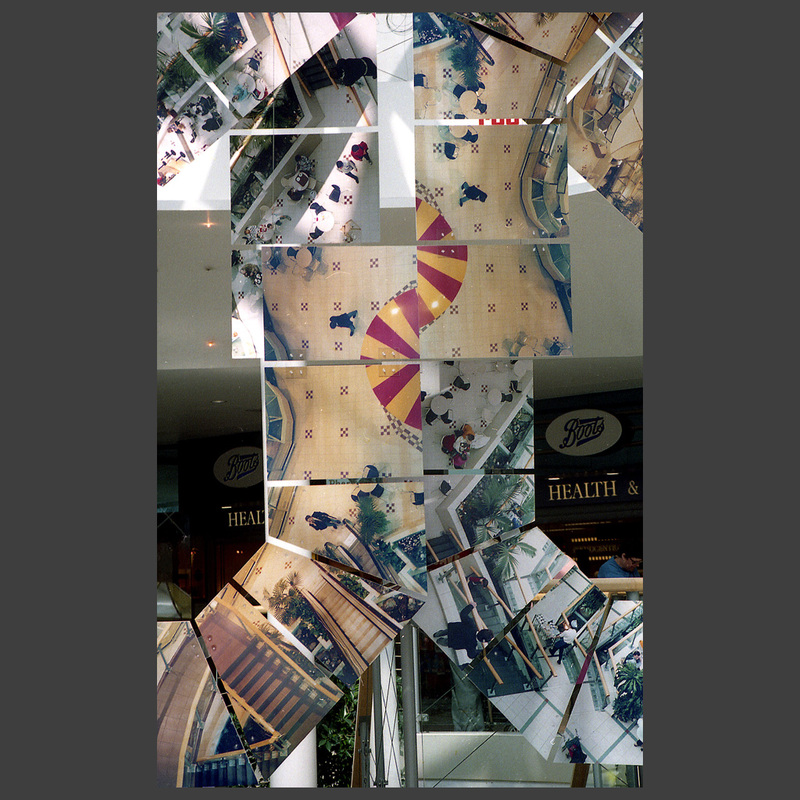 From two points around the circumference shots were taken towards the centre of the space and the resulting prints were attached to the structure. 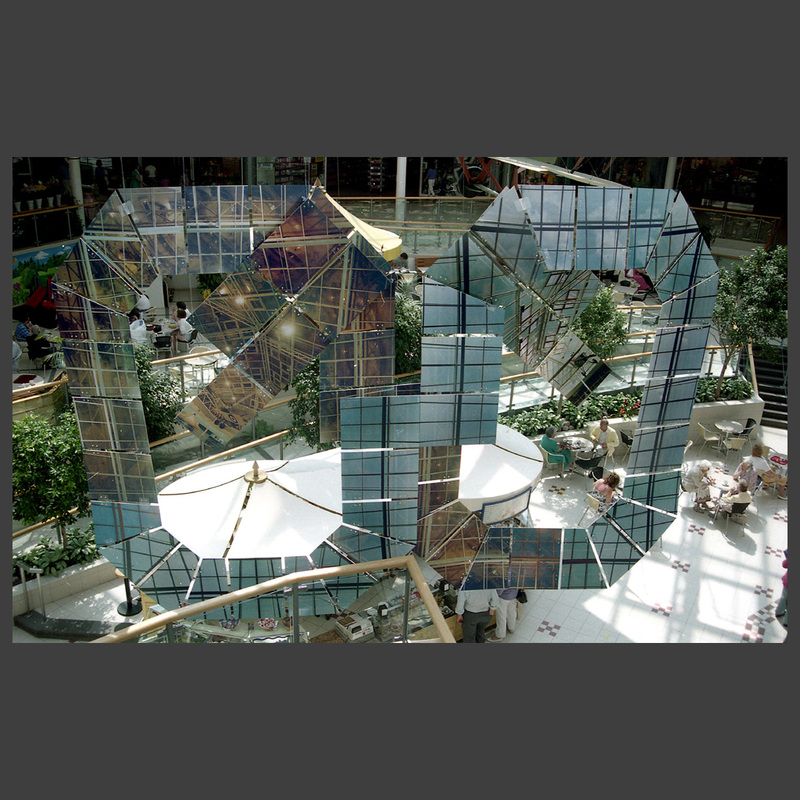 The two occasions within the twenty four period at which photos had been taken from each location were marked up in large red numerals around the gantry area. 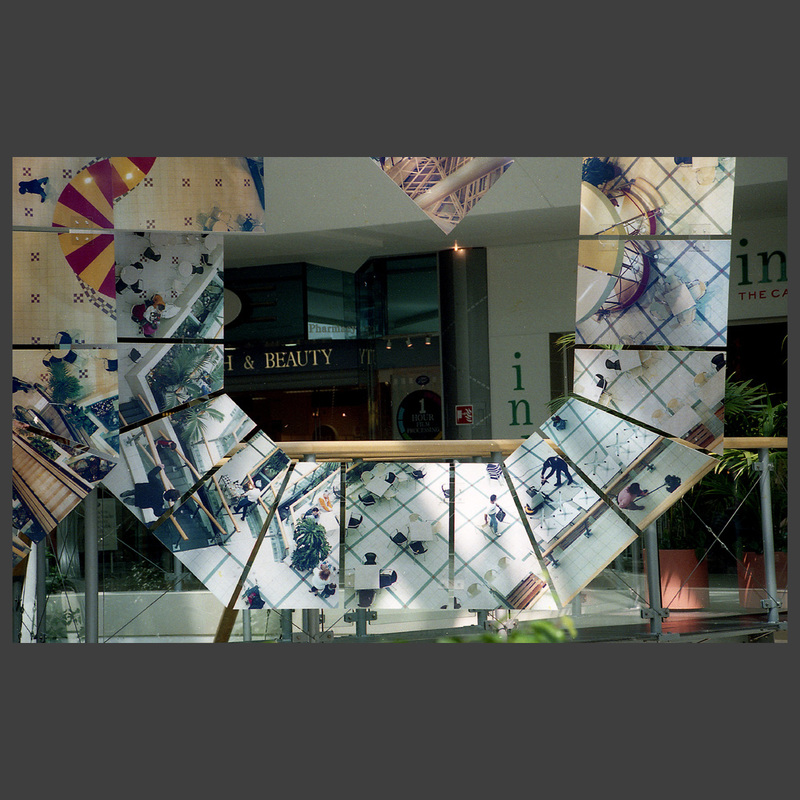 This helped viewers to visualize the complex relationship between the vertical structure and the horizontal space from which they were viewing it.